We live in a world where customer is the king and her preferences are changing ever so quickly. For an entrepreneur, it becomes very difficult to understand customer preferences and requirements and to find a good product-market fit in the process. Hence in this world we are living in, tapping into the “Crowd” makes complete sense. 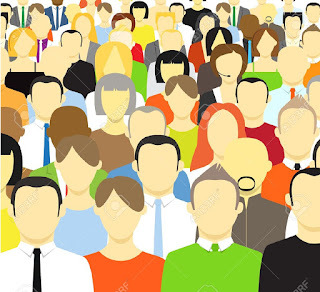 The “Crowd” refers to a mass of people who may be connected or not connected to you. Crowdholding is a platform which tries to connect entrepreneurs with the “Crowd” so that they can derive the host of benefits the latter has to offer. The benefits of the “Crowd” are listed below. Diverse Opinions – The “Crowd” is a heterogeneous lot of people coming from different backgrounds and demographics. They all come together as they have 1 common interest – engaging with entrepreneurs around their business ideas. This ensures that suggestions and opinions received by entrepreneurs on the platform are diverse and focus on different areas of the business. Unbiased Feedback – Since the entrepreneur has no previous attachment with the people engaging with his/her business idea, the feedback received can be safely assumed as unbiased. Implied Agreement – Any opinions which are reiterated time and again can serve as implied agreements by the “Crowd”. Since these implied agreements are opinions of a number of people, the entrepreneur can use the same in further design and development of the product. Statistically Significant – Even statistically, data collected from a bigger sample of people has more significance when compared with data collected from fewer persons. This data collected can be analysed by clubbing into categories and trends can be identified which again can be used in product development. Cheaper – Finally Crowdsourcing feedback and ideas consumes lesser time and lower cost when compared with other means to do so. So if you are a budding entrepreneur and have a business idea, put it on Crowdholding and let the Power of the Crowd assist you in realizing your dream.